Be sure to have all your necessities at an arm’s reach with the USB Car Phone Charger Back Seat Organizer. The multipurpose design stores cellphones, tablets, tissue paper, CD’s, sunglasses, water bottles and more. Features a built in dual USB charger port. 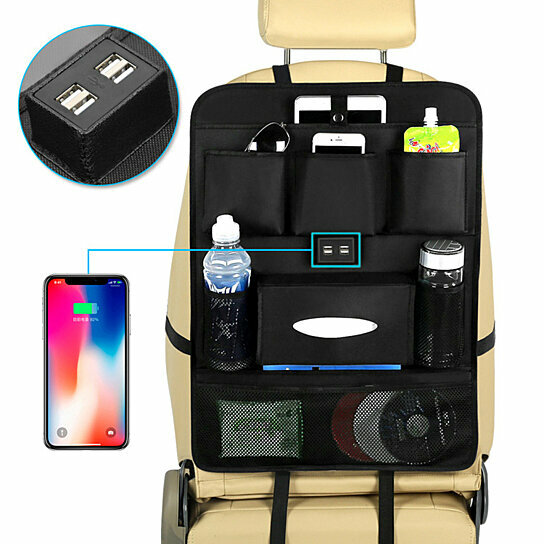 Perfect for the daily commuter and a must have for road trips!